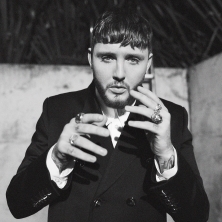 Platinum selling British singer-songwriter James Arthur will perform at the spectacular Tynemouth Priory and Castle on Friday 6 July. His latest album Back From The Edge has been a success across Europe and his best-known songs include Impossible, You’re Nobody ‘til Somebody Loves You, Say You Won’t Let Go, Naked and Rudimental’s Sun Comes Up. Page generated in 0,106377 seconds.